SAFARI-1 is one of a handful of research reactors older than 50 years. It has a unique history that spans the Cold War, apartheid isolation, and the dawn of democracy in South Africa. The SAFARI-1 high flux research reactor first went critical in March 1965, and has been at the centre of nuclear technology innovation for over 50 years. You can read more about the history of SAFARI-1 by clicking on the tabs below. 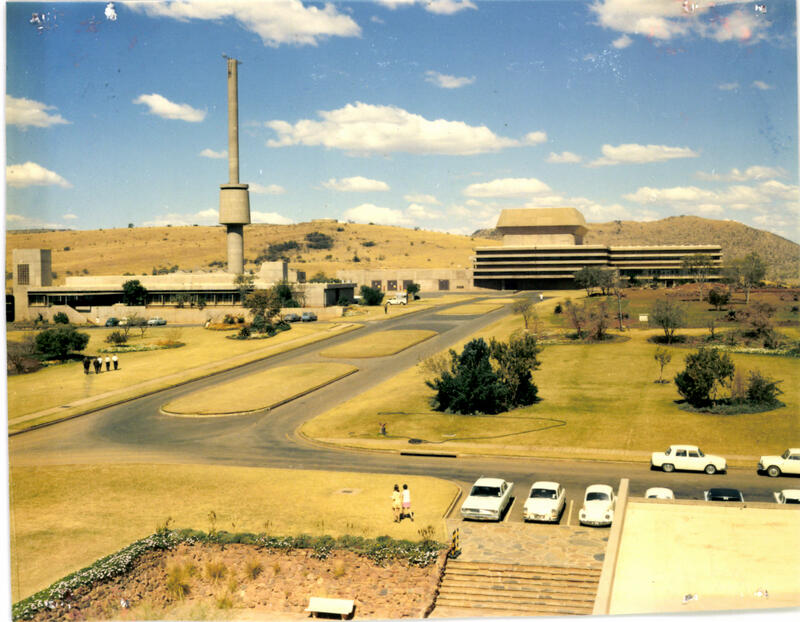 South Africa’s nuclear technology programme dates back to the final years of World War II, when Allied powers looked to secure stockpiles of the element uranium for their growing nuclear programmes. South Africa held significant uranium reserves – the metal was a natural by-product of the country’s extensive gold mining industry. With the post-war political realignments that resulted in what would become known as the Cold War, South Africa (which had set up its own Atomic Energy Board in 1948) was seen as a key strategic partner of the United States and the United Kingdom. In the early 1950s South Africa signed an agreement to supply its entire uranium output to these two countries. 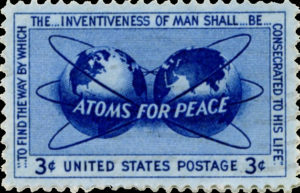 In 1953, American president Dwight D. Eisenhower gave a speech at the United Nations about “Atoms for Peace”. This speech initiated a new national and global scientific programme, where equipment, training and information about nuclear technology were supplied across America, and to selected friendly nation partners. Under the banner of Atoms for Peace, several South African scientists travelled to nuclear facilities in the United States, and in the United Kingdom, where they received specialised training. A cooperation treaty, promoting civil use of atomic energy, was also signed between America and South Africa. This helped to promote South Africa’s own nuclear research and development programme, which was originally based in Pretoria. 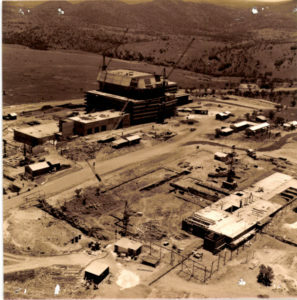 By the early 1960s, a more remote and secure site was selected at Pelindaba near the Hartbeespoort Dam. Architect Brian Sandrock was commissioned to design Pelindaba’s distinctive modernist concrete buildings – including one building that would house a nuclear research reactor, which was to be supplied by the USA. The South African Fundamental Atomic Research Installation – or SAFARI-1 research reactor – is a pool-type reactor, based on an American Oak Ridge research reactor design [Oak Ridge in Tennessee is the name of one of the most important nuclear research facilities in the United States]. 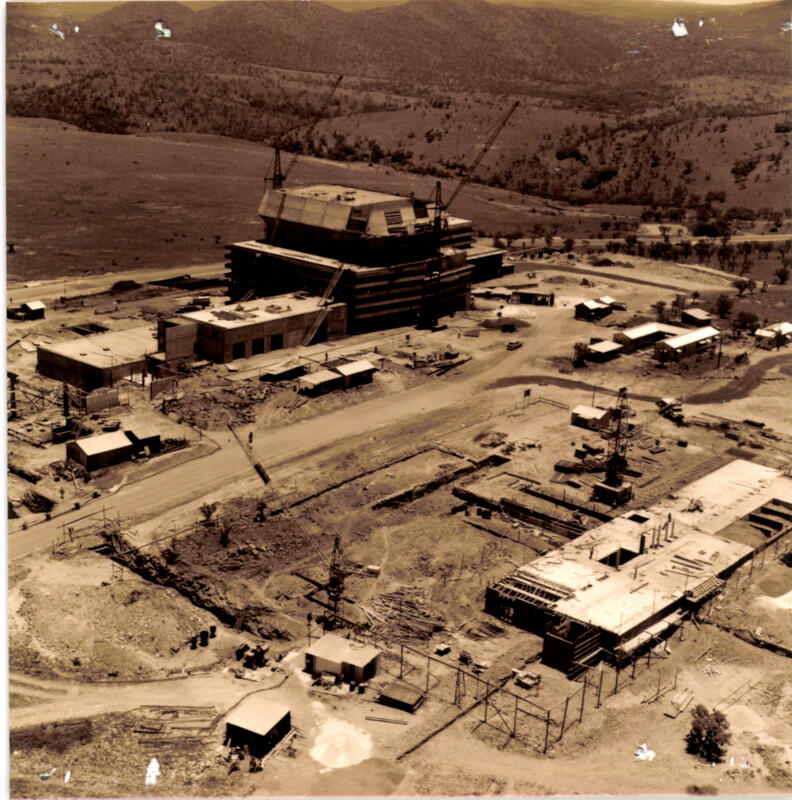 The reactor vessel was constructed in the United States, and shipped to South Africa where it was to be installed in the reactor building. Although it was intended to complete the reactor by the end of 1963, there were delays on the American side – after the reactor vessel was damaged while being loaded in a workshop (the cable strap snapped under the weight, and the impact from the fall damaged the beam tube and core box). Eventually the reactor vessel was repaired (repairs took a year), loaded and delivered to South Africa. Within another 15 months, the installation was completed. The reactor was fuelled with highly enriched uranium provided by the United States (under the agreement between the countries, South Africa was not allowed to enrich its own uranium but had to purchase its fuel from the US). SAFARI-1 achieved criticality for the first time at 18h33 on 18 March, 1965. At first, the reactor operated at 6.67MW. In 1968, the cooling circuit was upgraded and the power capacity was increased to up to 20MW. 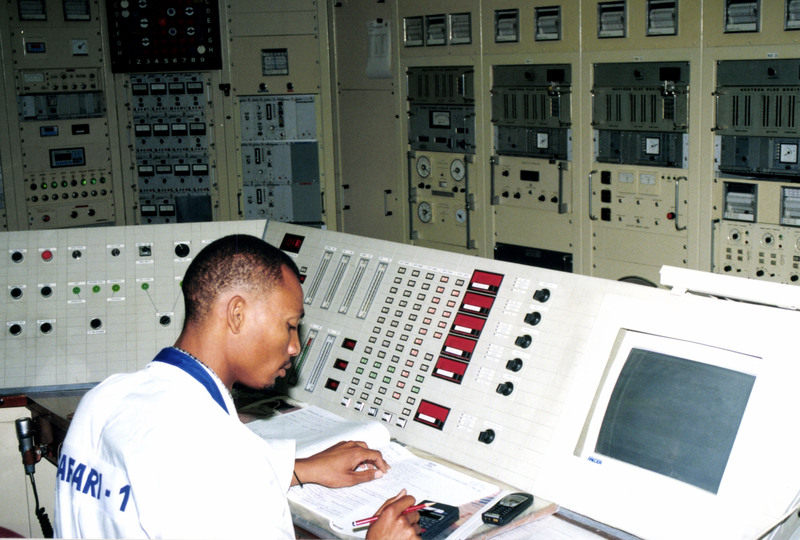 For the first decade or so, scientists and engineers based at Pelindaba used SAFARI-1 to carry out research in nuclear physics, reactor physics, and reactor and radiation safety. This was (and is) one of the core functions of a research reactor – which, unlike nuclear power stations, functions as a high flux source of neutrons, and can therefore be used to apply and test the effects of more intensive radiation over a shorter time span (i.e. quicker than chronological or biological time). During this period, the team at SAFARI-1 also began looking at research and commercial applications of the irradiation and transmutation of materials, which included the production of industrial and medical isotopes. 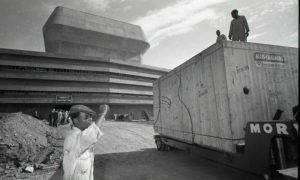 From the 1970s, South Africa’s nuclear programme began to take a very different direction – when the country’s apartheid government started to feel increasingly threatened and vulnerable (both domestically and internationally), and began to intensify the brutal enforcement of its separate development policies. 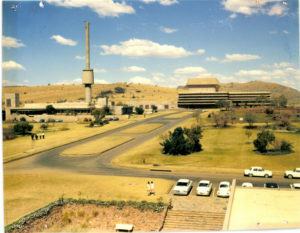 In 1970 prime minister BJ Vorster announced that South Africa would begin its own independent uranium enrichment programme, and he split the Atomic Energy Board into two new divisions: the Atomic Energy Corporation (which preceded Necsa), and the Uranium Enrichment Corporation or UCOR. 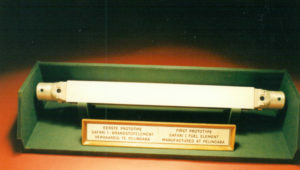 Although Vorster stressed that South Africa’s uranium enrichment and broader nuclear programmes were only intended for peaceful purposes, in reality UCOR focused predominantly on producing weapons-grade enriched uranium that would be used to prepare six nuclear warheads between 1977 and 1989. To some extent, South Africa’s provocative behaviour was tolerated by other [western] powers because of parallel intensifications in African territorial struggles of the Cold War. The end of colonial government in Mozambique and Angola in the mid-1970s had seen two Marxist groups – Frelimo and the MPLA, respectively – come to power, which worried the Americans and British nearly as much as it panicked the minority white rule in South Africa. After June 1976, however, even this tacit support of the apartheid state began to unravel – as pictures of the student protests, together with images of the state’s merciless crackdown, were broadcast to international audiences. Images of black youths shot in the back, running away from heavily armed state security, triggered a new wave of anti-apartheid protests. By the end of that year, the United States had banned the further sale or export of uranium fuel [for the reactor] to South Africa. 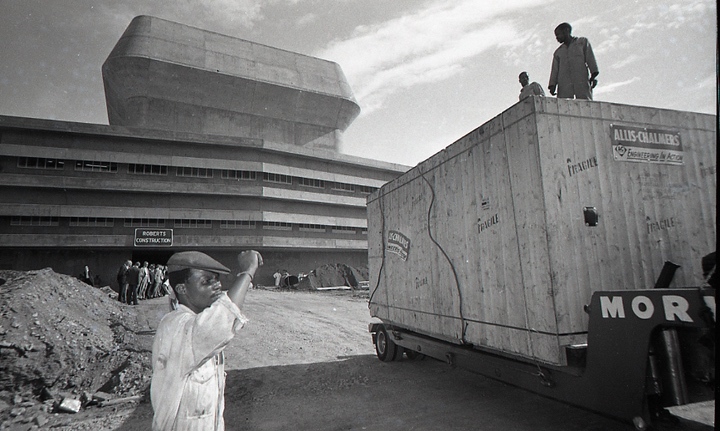 Although a local enrichment plant at Pelindaba – Y-plant, at a section named “Valindaba” – was already in operation, it was not yet producing sufficient material to fuel SAFARI-1 and the government’s secret weapons programme (it would start supplying enriched fuel between 1981 and 1982). To preserve fuel reserves, SAFARI-1’s power levels were reduced to 5MW and the reactor was only operated during office hours on alternate weeks. These restrictions would ultimately be in effect until the early 1990s, when apartheid finally ended. 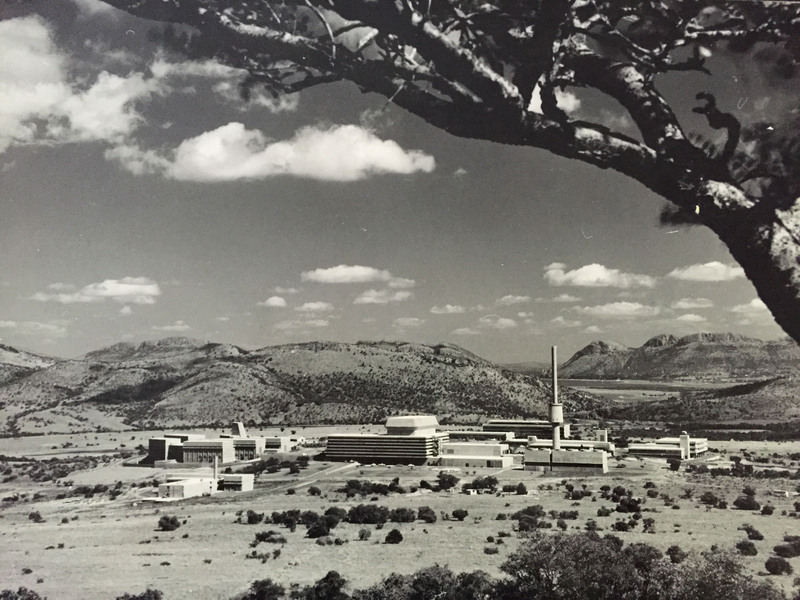 Ironically, it was South Africa’s increasing economic, political and scientific isolation that ultimately prolonged the life of SAFARI-1, and prompted the development of a series of parallel new production processes at Pelindaba – including the construction of a hot cell complex that could be used to test fuel assemblies being produced for the nuclear power plant at Koeberg, and the engineering of innovative transport containers that could be used for hazardous radioactive material. Around this time [from 1973] SAFARI-1 also began to be used to produce small quantities of medical radioisotopes iodine-131 and [molybdenum-99 decay product] technetium-99m, which it supplied to the local nuclear medicine market. Because South African scientists were gradually banned from visiting or exchanging knowledge with other nuclear facilities, and very little material could be sold to South Africa under sanctions and other economic restrictions, these projects relied almost entirely on South African innovation, design and manufacture – and provided a bedrock legacy of invention, expertise and experience that would later allow NTP to become a world-leader in nuclear technology products. After years of marginal utilisation, SAFARI-1 once again came under the spotlight in the early 1990s. By this time, South Africa had signed the nuclear non-proliferation treaty and (preceding that) ended and actively dismantled all the parts of its nuclear armaments programme. With less state support for the broad banner of nuclear technology, it was suggested that the nuclear research reactor itself was not only redundant, but also an expensive burden to the state – it was costly in terms of its fuel (which, in theory, could now be secured on the open market), the security required at a nuclear facility, and the disposal and storage of radioactive waste and other material. For many, the existence of SAFARI-1 also represented a political redundancy: it was perceived as a relic of both the Cold War, and of apartheid. In 1995, after the country’s first democratic elections, a national overview committee was set up to review SAFARI-1, and ultimately decide whether or not the entire reactor should be preserved – or shut down. The closure of SAFARI-1 would have represented not only a major loss of high-spec, world-class infrastructure, but also the loss of three decades and more of highly specialist scientific knowledge. 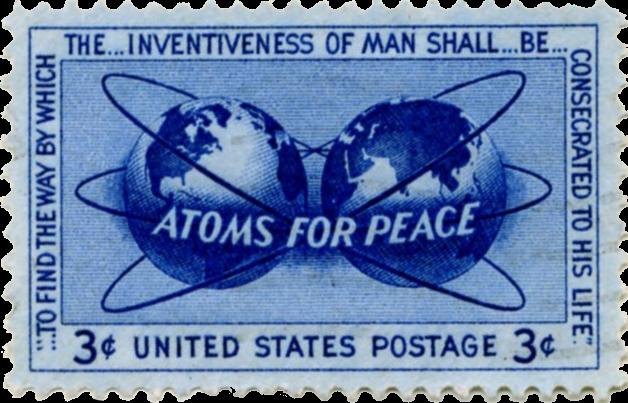 More importantly, though, it was the production of medical radioisotopes that represented the reactor’s greatest peaceful commercial potential and its greatest societal contribution. Utilising much of the existing hot cell infrastructure, originally developed for entirely different purposes, the physicists and engineers at Pelindaba proposed a rather bold new plan that – they hoped – would save SAFARI-1 from a premature and short-sighted end. Their plan involved increasing and commercialising the operations and output of the reactor for radiation-based isotopes, in particular using SAFARI-1 to generate large volumes of molybdenum-99. The team were given 12 months to show the committee that a commercialisation programme could cover at least 30% of the reactor’s operating costs. Within a year, isotope sales achieved double this target and covered 66% of the reactor’s costs. By the early 2010s, the commercial sale of isotopes covered more than 90% of SAFARI-1’s costs, with the balance coming from Necsa (who remain the owners of the reactor). 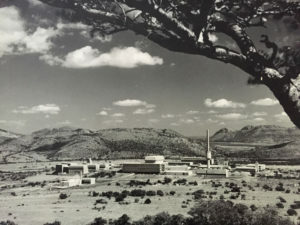 Amazingly, the enriched uranium (HEU) used to fuel SAFARI-1, and provide uranium target plates (for the production of medical radioisotopes), was produced from the very same processes that had originally been used to create South Africa’s nuclear warheads. From weapons of mass destruction to life-saving isotopes, SAFARI-1 was at the very centre of one of the country’s most important and remarkable transformations. A little over a decade later, SAFARI-1 again led the way for global peaceful applications of nuclear technology when it underwent the conversion process from using HEU to low-enriched uranium (LEU) fuel. A parallel conversion of all target plates, from HEU to LEU targets was also initiated and in December 2010 the first commercial batch of entirely LEU Mo-99 was shipped from South Africa to the United States. By the end of 2015, more than 75% of molybdenum-99 target plates used in SAFARI-1 were LEU.